When I go backpacking, it’s typically to reach a highpoint. I’m going to be covering a lot of ground and gaining a lot of elevation, I’m going to carry my overnight essentials along with my summit assault necessities. 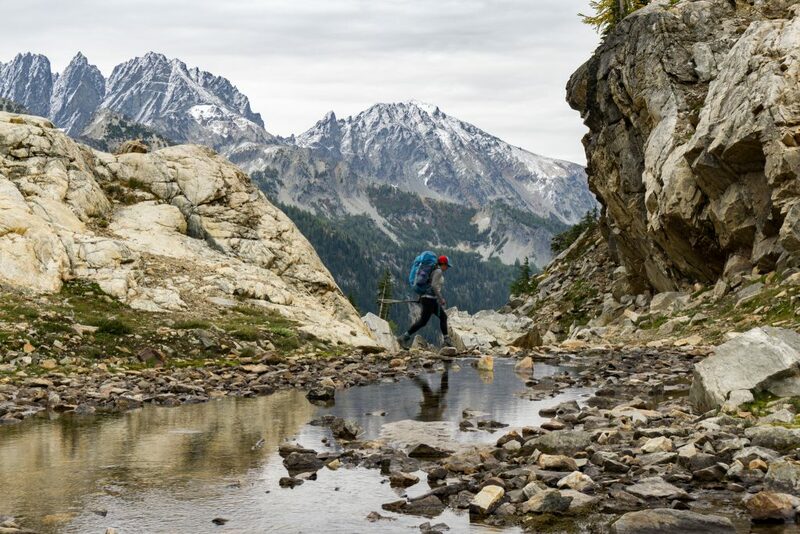 I’m looking to go far, fast, and as light as possible, which is why I was so stoked to get to try out the ultra-lightweight Maven 55 backpack by Gregory Mountain Products. 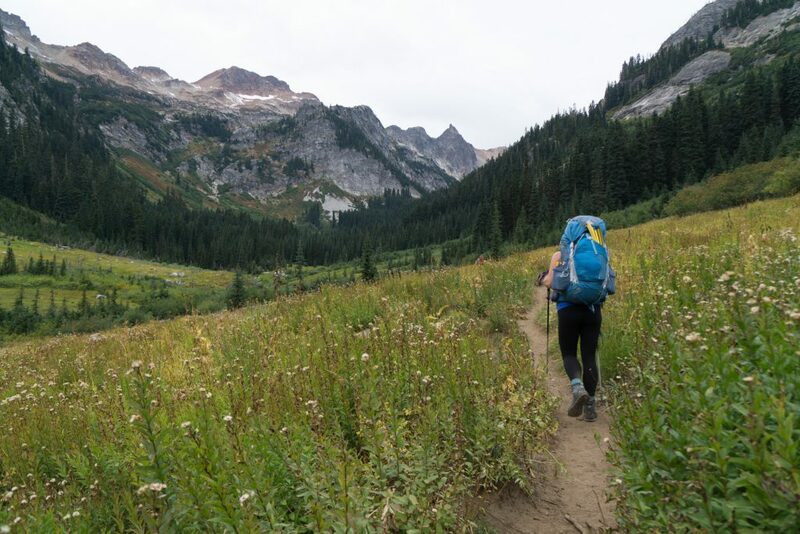 I took the Maven out on a 50-hour, 41-mile expedition through the Spider Gap Buck Creek Pass loop in the Glacier Peak Wilderness, tagging the summit of Fortress Mountain along the way. It was a long haul for the limited time we had, so every feature that shaved weight and added convenience or comfort was appropriately noted. Huge, stretchy side mesh pockets. On one side I carried a 1-liter sized water bottle and my tent poles, and on the other side I had my second 1-liter water bottle along with a can of beer (okay, so we weren’t that strict on weight savings). The additional room and stretch made grabbing and hydrating easier than ever. Matrix ventilation system. That’s what Gregory calls their mesh back panel that keeps the bulk of the pack just a few inches away from skin contact, so there was plenty of airflow and I never felt overheated. Total of just 3.6 lbs. I’m not exactly an “ounce counter,” but I can tell you that this pack is significantly lighter than others I have used. 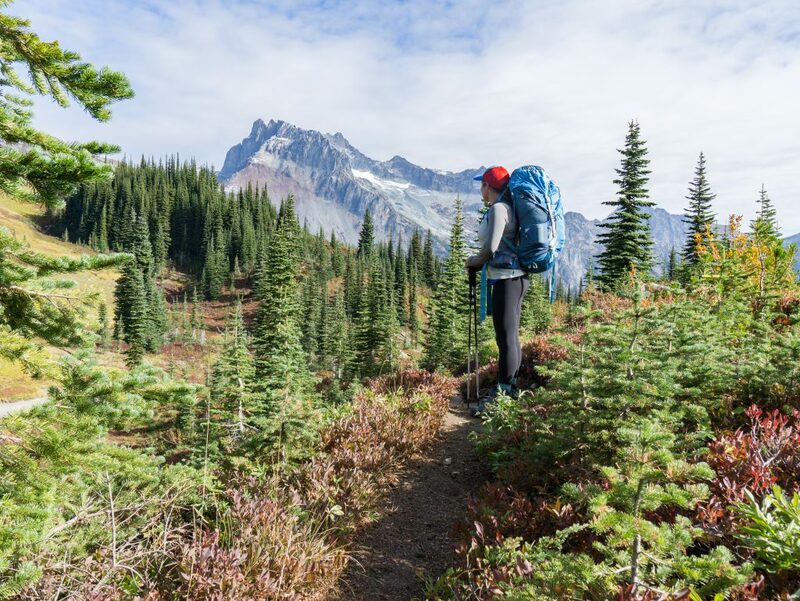 For a long, strenuous trip like ours, weight matters – and finding a pack with so many features condensed into one solution was really the cherry on top of my gear list. But the biggest bonus I found in this pack was its removable sidekick daypack. 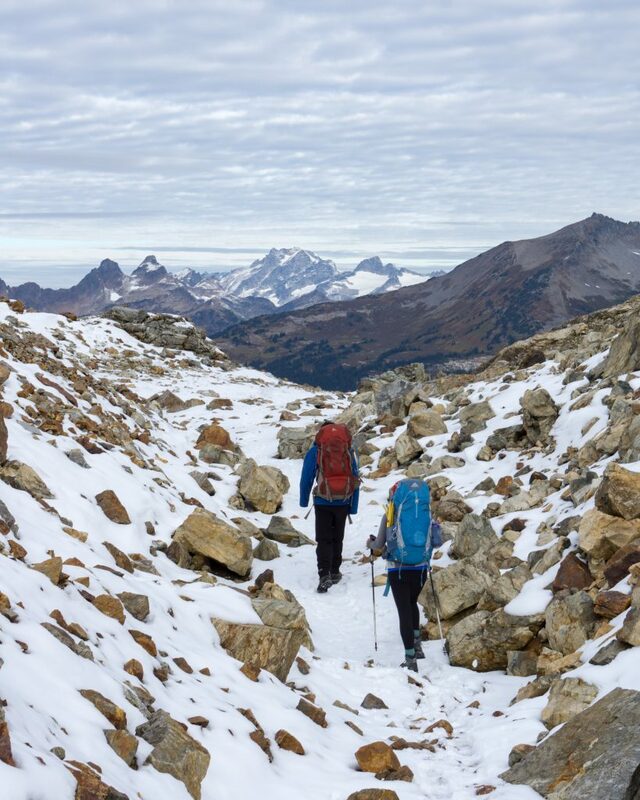 This pack can hold your reservoir and prevent leaking water from disturbing the rest of your stuff, or your can remove it completely for a day trip or summit push, like we did. 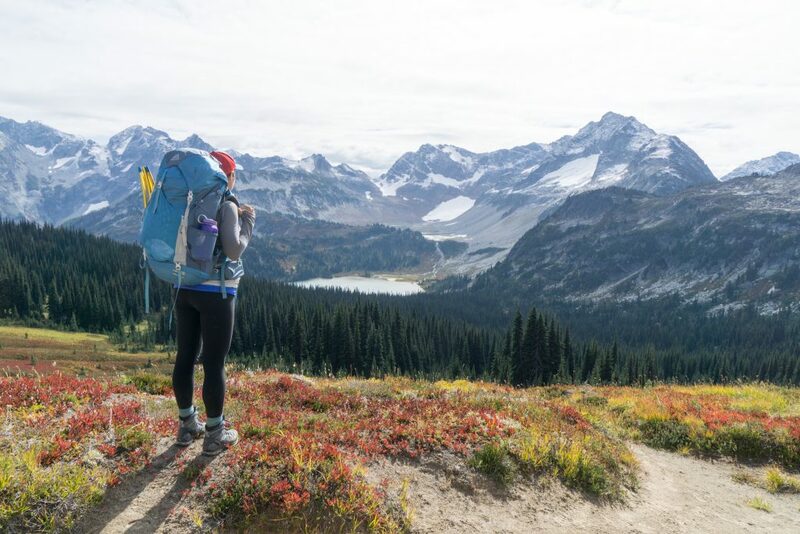 We stashed three liters of water, two jackets, a ziploc gallon sized plastic bag of trail snacks, and a few other necessities in this super-convenient removable pack. With its adjustable straps and drawcord closure, this bag was supportive, comfortable, and carried all that we needed. In all honesty, I had a difficult time finding many drawbacks to the Maven 55. The only real problem I had was some discomfort from the shoulder straps on my bare skin and the hip belt bruising my bones, but I believe that both of those are from a first-time use and will wear in with time. I also noticed that my hair would get caught in the brain buckles from time to time, but this was another easy fix. I do, however, have a few embarrassing confessions to make that I thought noteworthy to include. Hopefully nobody else will make these same mistakes. I am a short person, and originally had quite a bit of trouble with strap adjustments to fit comfortably, thinking that this was a lopsided or ill-designed pack. That is not the case. Take your time to adjust the straps at home before you set out and I’m sure you will find the perfect fit for your body! I went this entire trip without realizing that there is an integrated rain cover included in this pack. It comes automatically stowed in a zipper mesh pocket beneath the front stuff pocket, which you can use for whatever if you decide to remove the cover. Folks, it pays to do your research beforehand. Overall, this pack exceeded my expectations, and I grew to like it more as the trip progressed. 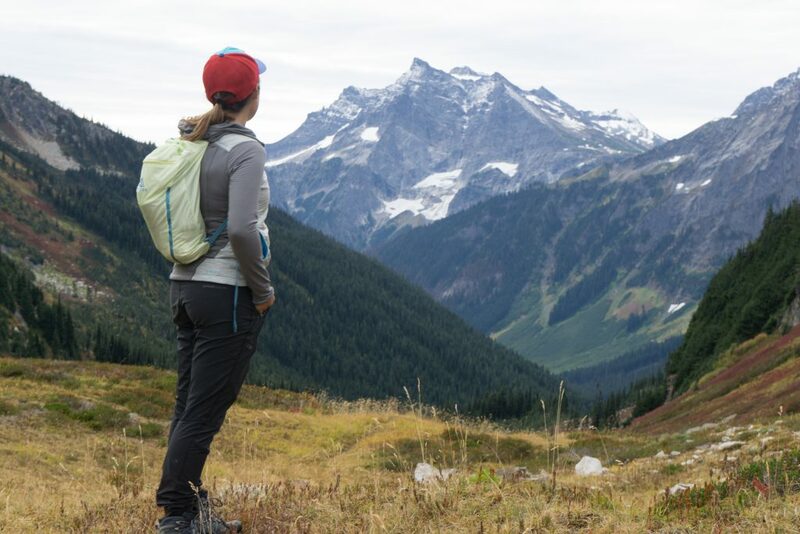 By the time I threw it into the back of my car, I was already thinking of the next trip I’d be able to take it on – and what my packing list would look like then. Rest assured, the Maven 55 can handle it. Until then! Shop the Gregory Maven 55 on Outdoor Prolink. Not a member? Apply today! 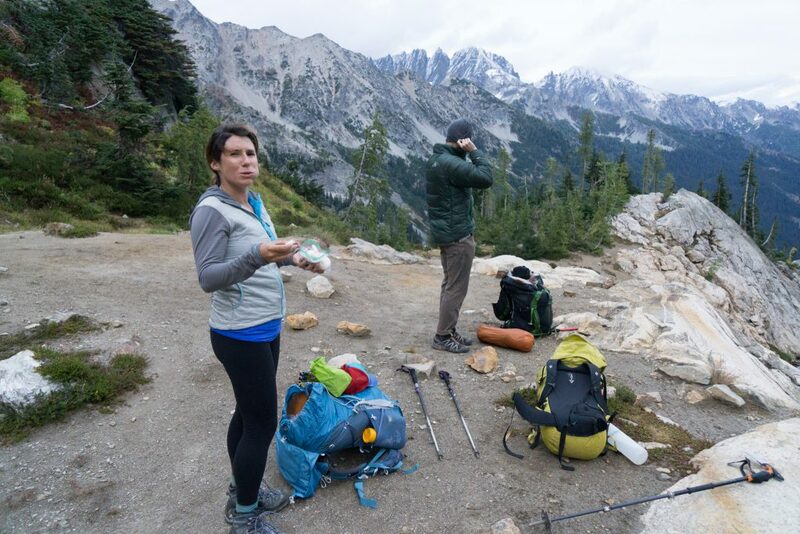 Rachel Davidson is an Outdoor Prolink Pro and Copywriter at Outdoor Research. 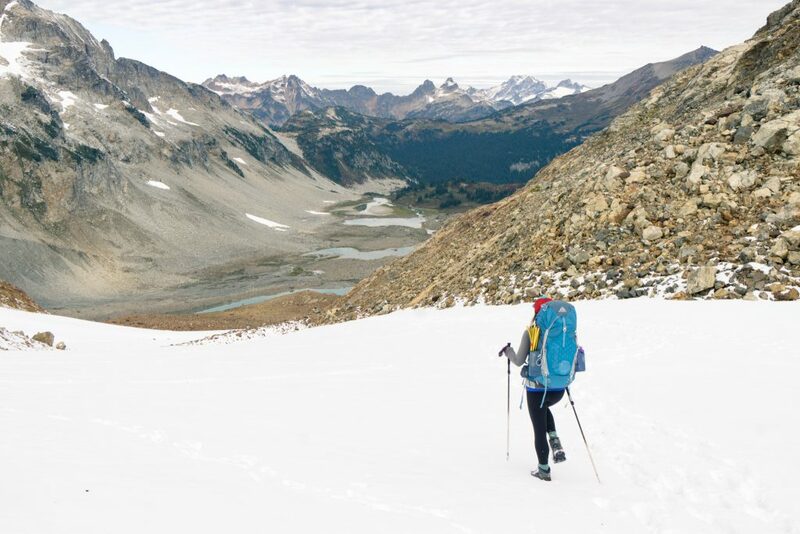 Rachel’s “dream job description” includes writing, studying, and sharing stories about human-powered outdoor adventures – which is exactly what she gets to do as the copywriter for Outdoor Research. She prefers to spend time outside on foot via hiking, climbing, and trail running. Not included on Rachel’s resume: Trail snack connoisseur, horror film enthusiast, and folk / bluegrass fangirl. Say hello @rachydavy.